LOS ANGELES, Aug. 20, 2011 / Global sensation, actress, designer, bestselling author, and mom NICOLE RICHIE is set to kick off Fashion’s Night out at Beverly Center on Thursday, 9/8. Following Mayor Villaraigosa’s welcome of the event to Los Angeles at Beverly Center’s Center Court, Nicole Richie will be the hostess for the first of two runway fashion shows. The large-scale production will feature Fall lines from the Center’s new luxury wing of tenants. Scheduled stores are Fendi, Salvatore Ferragamo, YSL and more. Styling for the show will be courtesy of Maybelline New York and Wen® by Chaz Dean. Nicole Richie is world renown as a tastemaker in style and fashion and for inspiring young women everywhere. Richie founded both Winter Kate l House of Harlow 1960 and she is the Creative Director of a global fashion business. 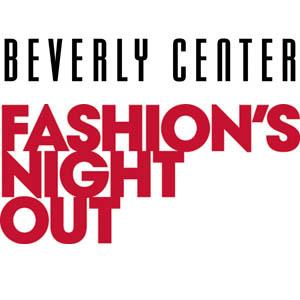 Beverly Center is again the epicenter for Fashion’s Night Out, L.A. with more than 100 participating stores for this year. At 5:00 p.m. in Center Court, the 2nd Annual Opening Ceremony kicks off the fashion extravaganza with Mayor Antonio Villaraigosa as host, along with Vogue’s Lisa Love and celebrity co-hosts. Top designers, celebrities, and a projected 25,000 guests will then join Nicole Richie following the Opening Ceremony at 5:30 p.m. to take in a Luxury Fashion Show on the Beverly Center runway with the hottest fall looks from the newest stores. The front row will be filled with celebrities, stylists, press, bloggers, top clients and more. At 8:00 p.m., guests will experience a high energy, edgy and modern Contemporary/Juniors Fashion Show featuring looks from L.A.’s top brands along with Bloomingdale’s and Macy’s. A massive LED jumboscreen will display the ceremony and runway for three-level viewing making Beverly Center the first and only stop for thousands of Angelenos on FNO. Beverly Center will also offer free Self Parking from 3 p.m. – 11:00 p.m.